With our increasingly busy lives, it is very important to parents and carers that their children are looked after in a safe and caring environment. Our Breakfast and After School Clubs aim to do this, and provide a reliable service where costs are kept as low as possible. 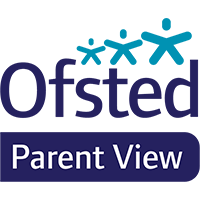 For those parents who are eligible to claim childcare costs the school OFSTED number is 121283. We are registered for children between the ages 4yrs and 11yrs (Reception to Year 6). It is essential that pupils are booked into the relevant out of school Club before the session. Booking is available using ParentPay or at the School Office. If you need to book your child in at short notice, please telephone 01904 555105 – the Office staff will then pass on the information to the Out of School Club. Unfortunately, if children are not booked in in advance, we cannot guarantee a place for your child that day. Or even getting help with homework. 7:30 ~ 8:45 a.m. 5 days a week during term time. At the end of the day the children make a smooth transition from the classroom to the After School Club where staff are prepared to meet them with a drink. A snack will be provided later in the session – please note this is only a snack and not tea. The children get a chance to ‘chill’ after a busy day working. They then have a choice of activities to keep them busy until collection time. 3:00 ~ 5:45 p.m. 5 days a week during term time. There will be a further charge for children collected after 5:45 p.m. – please see the Parent Handbook for full information. It is vital that children are pre-booked into the Club before the session – booking envelopes can be obtained from the school office or from Club Staff. If you need to book your child in at the last minute, please telephone the school on 01904 551554. If you would like any further information, please do not hesitate to contact Ann Prier, Extended Schools Co-ordinator (a.prier@cliftongreenprimary.co.uk) or speak to a member of staff at the school office. If your employer provides vouchers to cover childcare costs these may be used to pay for our Breakfast and After School Clubs.